Omer was brought up in Paisley, going to Todholm Nursery and South Primary School in his early life. He then spent 5 years at Paisley Grammar School, then continuing his education at Reid Kerr College. Omer is a graduate in Electronic Engineering, obtaining his degree from the University of Paisley on 4 July 2006. Omer and Majid grew up in the same house in Hunterhill, going to the same school and cricket clubs, firstly the Old Grammarians, then Kelburne, where they were coached by Roddy McLelland. At the end of 2002, Omer moved to rivals, Ferguslie Cricket Club after Roddy McLelland retired from coaching. Majid soon followed after the next season. Omer became involved in the game through his family who all played, perhaps his greatest influence was his cousin Majid Haq who he played with as a youngster and who played for Scotland at various age groups – and is a full international. Omer regards the two highlights of his cricketing career to date as winning the Under-19 2002 European championships for Scotland and qualifying for the 2004 Under-19 World Cup in Bangladesh after finishing as runners up in the 2003 European U19 championship. Another highlight of his career was helping Ferguslie to lift the Colonel's Scottish Cup in 2005 in which Omer scored the remaining runs to beat Aberdeen. Omer and his cousin Majid were selected for the provisional World Cup squad which is to take place in 2007 in the West Indies. They were both told to improve their fitness. Omer was offered a place to take part in a 7-week fitness improvement at the ICC 'boot camp' in the University of Pretoria. Omer was not selected for the tour of Dubai and Kenya, and for the World Cricket League Division One tournament which will determine whether Scotland will play in the 2007 Twenty20 World Championship being held in South Africa later in the year. Omer was not given the opportunity to show his batting skill and is determined to board the plane in which the English cricket team will also travel on. Omer is currently in Pakistan and is training with the Multan cricket team to improve his batting skill even more and mark his place in future cricket with Scotland. Omer Hussain was called to Kenya to compete in the ICC World Cricket League after fellow cricketer, Glenn Rogers was diagnosed with typhoid. Omer was officially reprimanded by the International Cricket Council after gesturing against his dismissal by the umpire in which he claimed was a wrong decision. 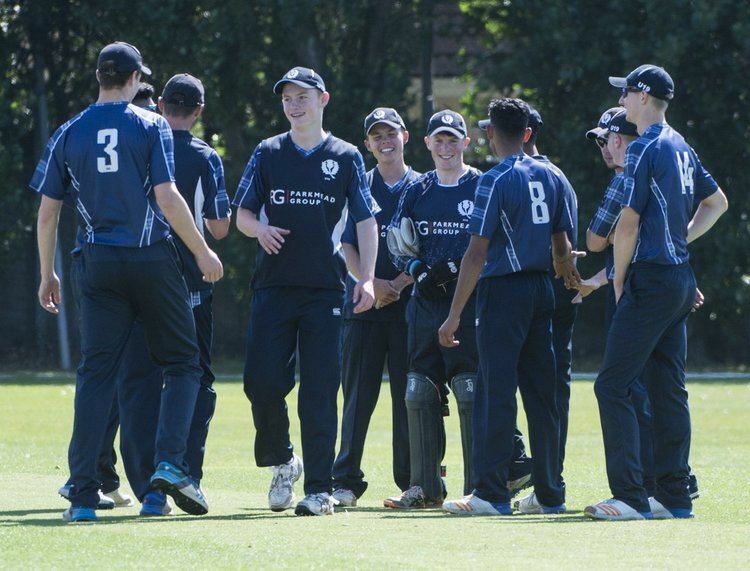 Omer scored 121 runs for the Scotland A team in the 2nd XI County Championship against Yorkshire 2nd XI.